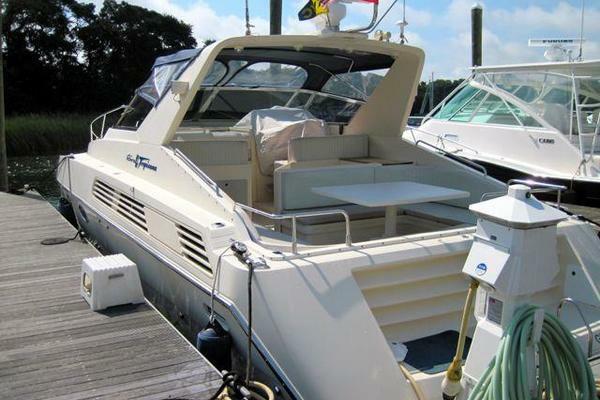 United Yacht Sales New Jersey would love to guide you through a personal showing of this 48' Sunseeker Portofino 48 2012. 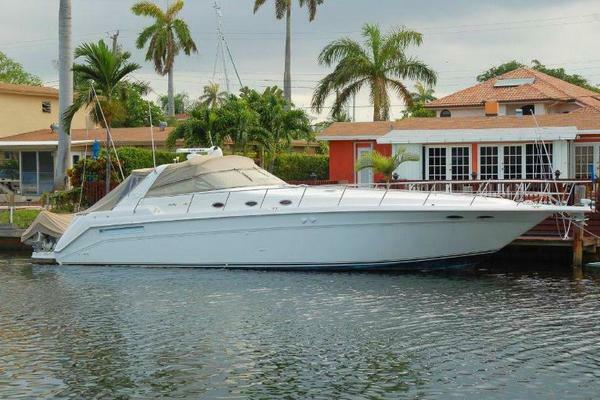 This yacht for sale is located in Chicago, Illinois and priced at $799,000. For a showing please contact us by filling out the form on this page and we will get back to you shortly! Combining space with pace, the Portofino 48 achieves a remarkable interior plan, with a full-beam owner's aft suite with huge windows to either side. Forward, there's a clever VIP suite in which the double bed cunningly swings apart to create twin single berths. The central saloon sits at the heart of the accommodation and enjoys a mix of grain, bold lacquers and deep glass options. The boat's profile is sleek with a long expanse of foredeck topped by cantilevering sunpads. The cockpit features a smooth and neatly engineered radius, in which is a helm station with pilot seating, wetbar and full dining arrangement.